I have been helping people find jobs since 1973, and have personally interviewed more than 26,000 job seekers on every professional level. What I’ve learned is that, for many, success remains elusive because they aren’t going about it in the right way—or with enough persistence. They are so focused on landing the job that they stumble during one, if not all, of the many important steps it takes to get there. Some might have a vague idea about writing a resume, but most job-seekers don’t know how to write a truly effective resume that stands out and helps them get their foot in the door. They also don’t know how much effort is required before an interview in order to make a good impression and successfully field questions during the interview. Most job-seekers know they should beef up their resumes, but they don’t know how to get it into the right hands. Likewise, most understand that success hinges on nailing the interview, but they have no idea how to prepare for it. In short, they don’t develop a step-by-step plan for easily managing a highly complicated process. You don’t understand how much work it takes. Too often job-seekers think sending out a couple of resumes a day is enough. But finding a job in today’s fluctuating market requires a huge number of calls, presentations and interviews. For instance, I recently met a candidate who said that she had been diligently looking for employment for two years, but had only gone on two interviews. Clearly, she was doing something wrong – or doing the right thing but not enough of it. 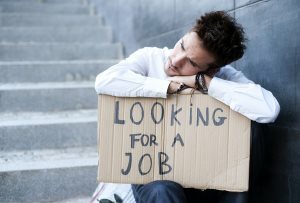 The bottom line is that most people get the job search wrong every step of the way, beginning with an unrealistic idea of the job market. They don’t network. They have poor interview skills—maybe even bad-mouthing their former employers. The key reason for failure is that they are too focused on the result to clear each hurdle. When preparing for the first interview, it’s important to have a plan of action before, during and after the meeting—with an eye on getting the second, third and fourth interview. The more prepared you are, the better your chance for success. Once you’ve sparked the interviewing cycle, keep it going. The more interviews you go on, the better. For one thing, it allows you to keep your options open and, if you’re lucky enough to get more than one job offer, make the right choice. Once you’ve found a job, career development begins. Even if you’re no longer looking for work, it’s important to keep an eye on the market so that you can be prepared if and when your situation changes. Therefore, keep your resume updated, continue to network and hone or develop new skills. This is also a good time to find a mentor, someone who can help you move up the career ladder or land your dream job. Tony Beshara is the owner and president of Babich & Associates, established in 1952, and is the oldest placement and recruitment service in Texas. It is consistently one of the top contingency placement firms in the DFW area, as recognized by the Dallas Ft. Worth Business Journal. He has been a professional recruiter since 1973 and has personally found more than 8,500 individuals jobs. He sits behind a desk every day, working the phone literally seven of the 12-hour days, making close to 200 calls each day. He is in the trenches on a day-to-day basis. Tony has personally interviewed more than 26,000 people on all professional levels and has worked with more than 23,000 hiring authorities. Babich and Associates has helped more than 100,000 people find jobs using Tony‘s process. Tony is one of the most successful placement and recruitment professionals in the United States. Tony received his Ph.D. in Higher Education from St. Louis University in 1973.